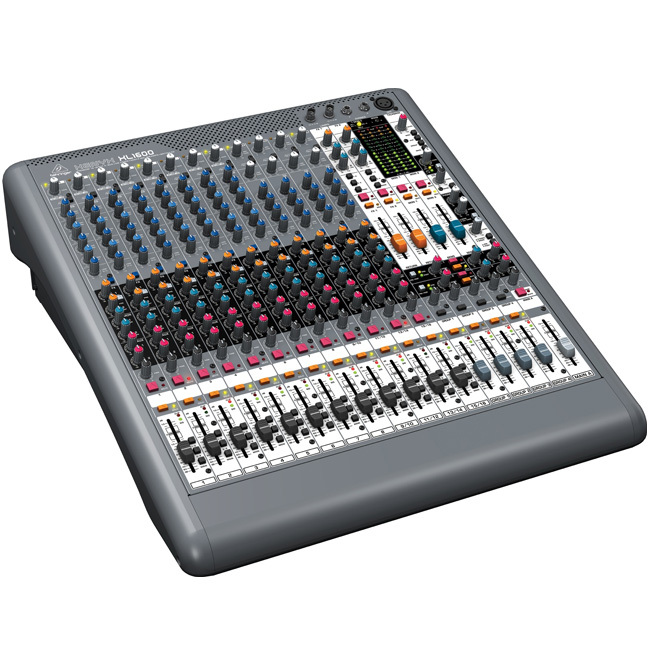 Small Mixer Packed with Features! 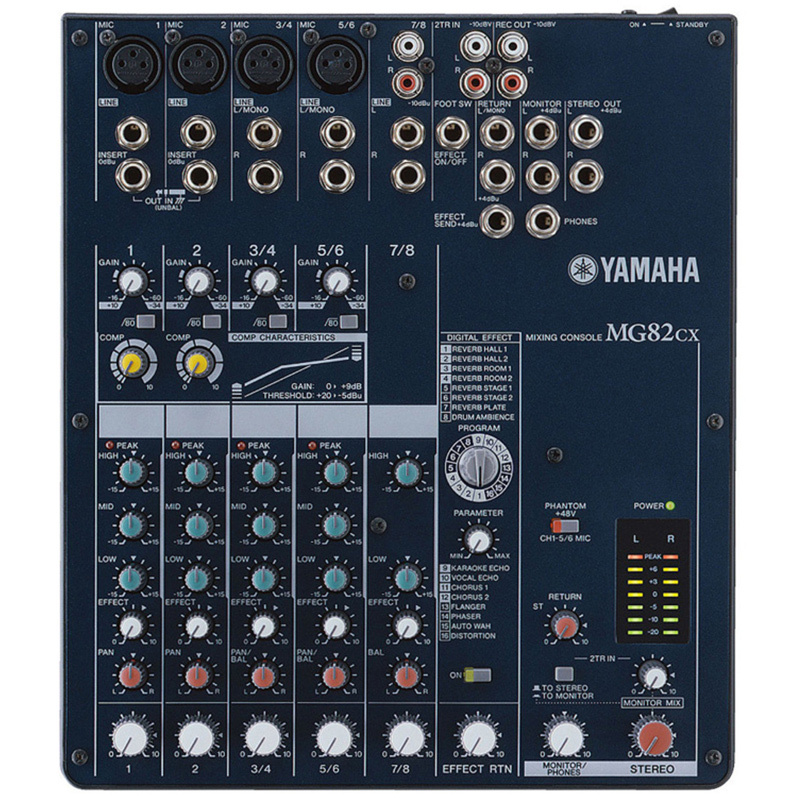 Whether you’re only mixing one microphone with a stereo source for the web, or multiple microphones and line sources for a live show, Yamaha’s MG82cx mixer can do the job with no compromises in sonic quality, processing versatility, or dependability. 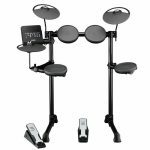 The MG82cx features compact, lightweight design, and incorporates specially-selected components for refined performance and audio precision. 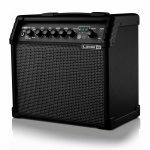 They also now feature Yamaha’s innovative one-knob compressor for built-in dynamics control that further eliminates the need for external equipment and potentially troublesome connections. 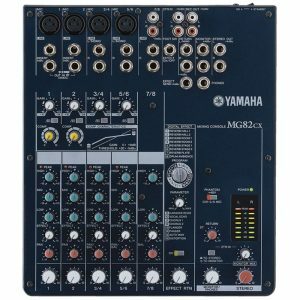 If you need a convenient analog mixer that can handle from eight to 12 input sources and deliver pro-level sound, the Yamaha MG82cx is a great choice. Many real-world mixing applications only involve a few channels, so a small mixer is the obvious choice. But no matter how simple the setup, you’ll always want first-rate audio quality and processing capability. The MG82cx is the ideal choice for live sound applications, offering sonic quality that will satisfy the most critical listener, surprising flexibility and ease-of-use, and some advanced features you normally wouldn’t find in this type of compact mixer. So whether you need a compact main mixer, or a secondary utility mixer for a larger application, don’t overlook the performance-packed MG82cx. The MG82Ccx has a total of eight input channels comprised of two mono microphone/line channels and three stereo line channels. Two of the stereo channels can be used as mono microphone inputs, providing a total of four microphone inputs when necessary. 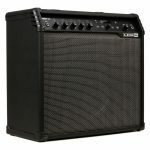 Gain trim covers a wide -60dB to -16dB range for microphone input, and -34dB to +10dB for line input. Top-mounted input and output connectors make setting up and re-patching the MG82cx quick and easy. 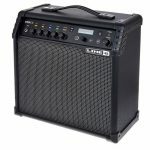 It features high-quality Neutrik balanced XLR connectors on both mono microphone/line channels and two of the stereo channels. 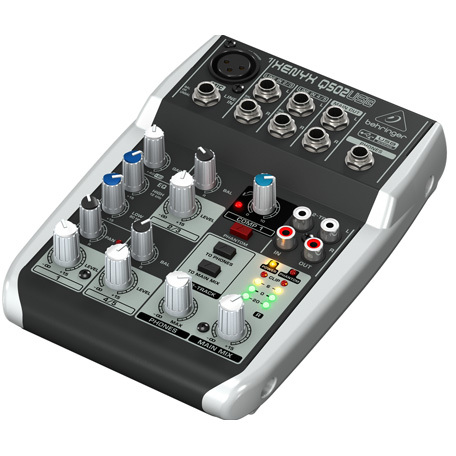 The XLR-equipped stereo channels can accept mono microphone input either via the XLR or phone jack connectors. The remaining stereo channel on the MG82cx provides phone jack and pin jack connectors for compatibility with a wide range of sources. The two mono input channels also feature insert I/O connectors that let you patch external signal processing gear into those channels as required. Separate pin-jack 2TR inputs are provided so the MG82cx accept the output from a CD player or similar stereo source. Microphone preamplifiers are critical in any mixer, and a performance bottleneck in many. That’s why pros often spend thousands of dollars on just a single channel of microphone preamplification. The microphone preamps built into the MG82cx inherit technology from Yamaha’s top-line professional consoles, and have been painstakingly designed to deliver superior sonic performance with any dynamic or condenser microphone. 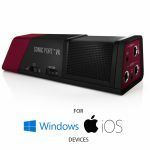 All four microphone preamps also feature switchable phantom power so you can take advantage of the natural, extended response of high-quality condenser microphones. A single switch turns phantom power on or off for all four channels. 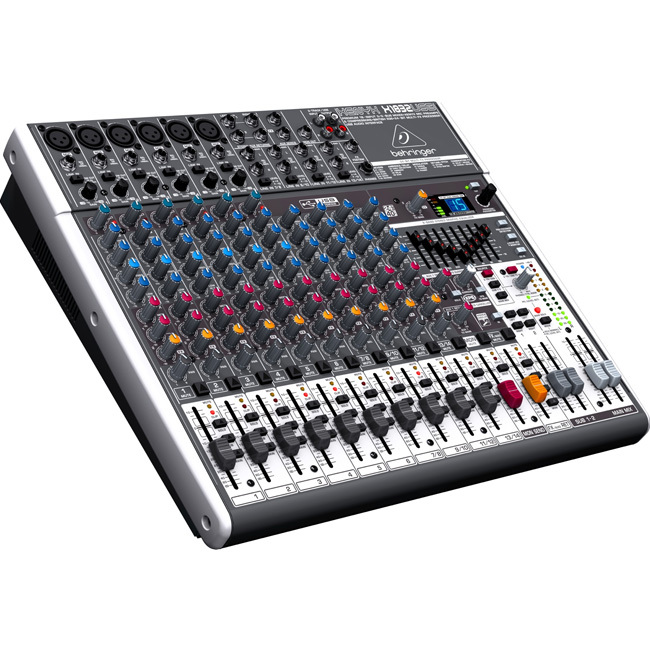 The MG82cx includes Yamaha SPX multi-effect processing to provide a complete solution to your mixing needs. A range of reverb, delay, modulation, and distortion programs are available to help you refine your sound. If you need to keep both hands free to play an instrument or perform other functions, an optional footswitch can be connected to the MG82cx for convenient on/off effect switching. With this advanced feature, the MG82cx can help you achieve great vocal sound. 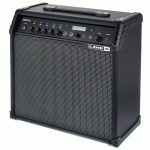 It can also be used to refine the sound of bass, guitar, and other sources. You won’t find built-in channel compression on too many other mixers in this class, but in the MG82cx you have Yamaha’s innovative one-knob compression feature on mono input channels 1 and 2. Conventional audio compressors with their threshold, ratio, knee, makeup gain, and other controls can be complex and time-consuming to set appropriately for a given source. Yamaha’s one-knob compressor eliminates the need for an engineering degree with a single control that lets you simply dial in the amount of compression you want. Channels 1, 2, 3/4, and 5/6 feature also full 3-band equalizers with LOW, MID, and HIGH controls, while channel 7/8 on the MG82cx and channels 7/8 and 9/10 have 2-band EQ for smooth equalization of stereo sources. 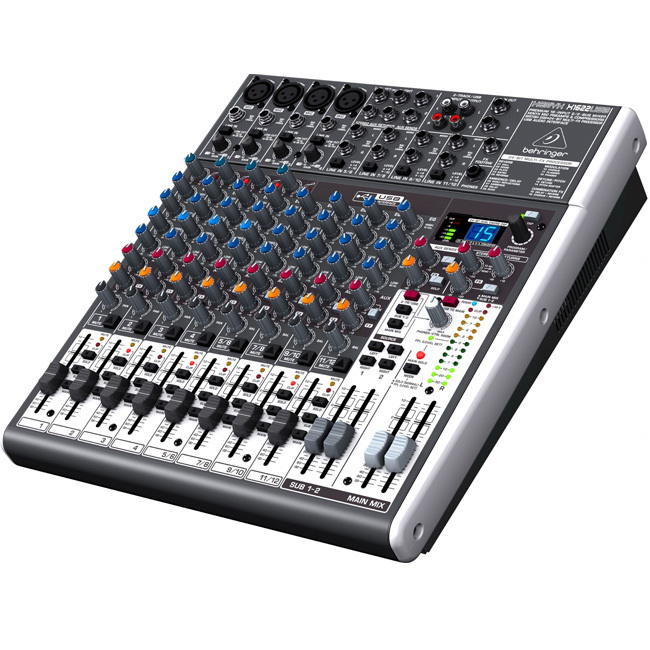 Gigs are easier when you use the Yamaha MG83cx mixer!